The Bolivian government has proposed a ground-breaking new law that would grant all of nature equal rights to those of the human race. Earlier this year, Bolivia passed its own la Ley de Derechos de la Madre Tierra, or “Law of Mother Earth,” as part of a complete restructuring of the Bolivian legal system following a change of constitution in 2009. The Law of Mother Earth is the world’s first piece of legislation to grant the planet absolute protection against those who would seek to exploit or destroy its resources or ecosystems. and the right to not have cellular structure modified or genetically altered. 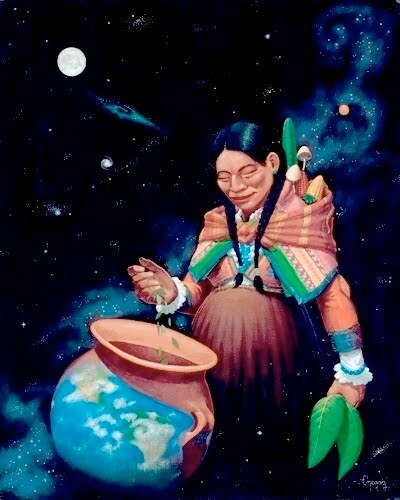 The Guardian reports that the law has been heavily influenced by a resurgent indigenous Andean spiritual world view which places the environment and the earth deity known as the Pachamama at the centre of all life. Humans are considered equal to all other entities. “It is not clear at this stage how the somewhat abstract legislation would be implemented,” writes Olivia Solon for Wired. The state will need to be careful to balance the rights of nature with the regulation of industries (such as mining) that contribute a significant chunk of the country’s GDP. Now, Bolivia is seeking to bring these principles worldwide with a United Nations treaty. The treaty, in draft at this time, would give Mother Earth the same rights as humans, including rights to life, water and clean air, the right to repair livelihoods affected by human activities, and the right to be free from pollution (SlashGear). Personally, I think that if the mega-corporations get to hide behind the legal protections of “personhood” as they pillage and pollute the planet, it’s only fair that she should be able to stand and defend herself with the same inalienable rights. There could be no better Earth Day gift.